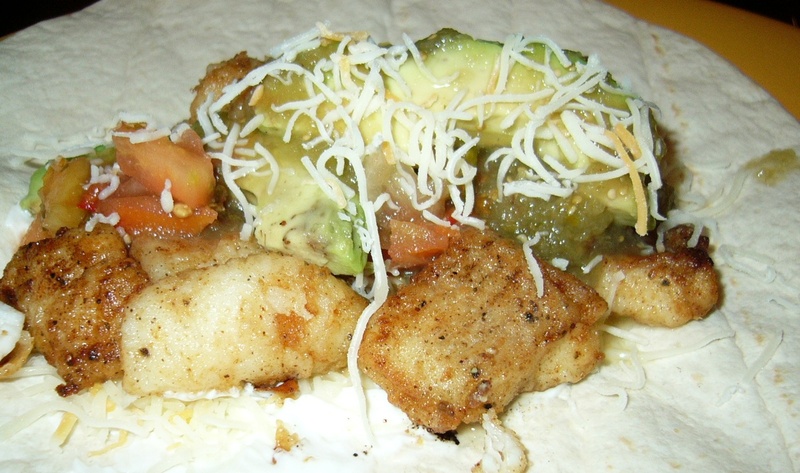 Despite the argument that catfish is inedible because they are bottom feeders and eat poo…I love it deep fried and in a taco. Soak catfish fillets in milk for about an hour – this will remove the “fishiness” and keep the fish moist. Cut the fillet into cubes. Coat in a mixture of flour, pepper, and old bay seasoning…deep fry. Serve with taco toppings. We had fresh avocado slices, greek yogurt, cheese, and salsa…Yummy!